Do you want to travel, meet other journalists and share ideas? Are you ambitious, ready to share skills and eager to learn? Then you are invited to apply for our unique three-day training event in Budapest, Hungary. Europe is in troubled times. Renewed tensions between Russia and the European Union, mass immigration and inequality between European states head the newspapers nowadays. Some European leaders use the chaos and the distrust to erode democracy and abandon European values. The pressure on fundamental freedoms of free press and expression seems to grow. In this context, The Caravan’s Journal is going to Budapest, the cultural heart of Central Europe, for a three-day training event. Are you a young professional, a committed amateur or a student looking for an opportunity for field experience? With this workshop, you will learn about journalism in Eastern Europe and the problems they are facing. You will meet interesting young journalists from all over Europe and discuss current topics. Discover how a magazine is made, how to pitch and publish a story. Learn more about investigative journalism and European collaboration. Take part in a debate on media with journalists from all over Europe. Whether you want to write a story on Eastern Europe, learn more about pitching/publishing or are interested in meeting young journalists from all over, our Budapest program is made for you. We are looking for the most ambitious and passionate young storytellers and journalists to join us in Budapest. We will challenge you to collaborate across borders, cultures and professional backgrounds. You will be working together with young storytellers from all over Europe and discuss the issues facing journalism today. The Caravan’s Journal prides itself in working with local independent talents and ambitious organisations. 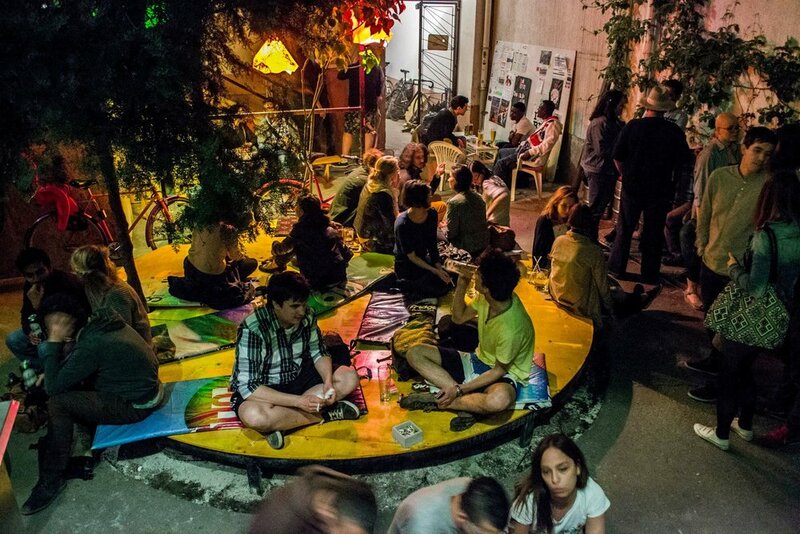 Auróra, our partner in Budapest, is a social enterprise which was created to connect cultural programs, civil and activist organisations and community building in an open community. They provide a platform where individuals, groups and non-profit organisations can meet, share their ideas and collaborate with each other on new initiatives. Aurora will be hosting the training event, and Hungarian journalist Ákos Keller-Alánt will be your mentor for the full program. Ákos is an investigative journalist for Magyar Narancs, covering Hungarian and international politics and economics. The Caravan’s Journal and Aurora provide the locations for the workshops and the lectures, the speakers and mentors. We charge 25 EUR (15 EUR for local participants) for drinks, lunch (Saturday/Sunday) and coffee breaks. The cost and organisation of travelling to Budapest and accommodation are your own responsibility. This allows all participants to freely plan projects or holidays before and after the training event. During the journey, our team will follow and guide you as a group. They will assist with advice and information as well as give practical workshops. Johannes De Bruycker (Coordinator) Johannes is the founder of The Caravan's Journal and a freelance photo/videojournalist. During his travels, he came up with the idea of combining an educational and professional network of storytellers. He coordinated events and projects with a variety of inspiring people and believes strongly in cross-border collaboration. Zsuzsa Mekler (partner) Zsuzsa is the liaison for our Hungarian partner organization Aurora. She oversees the location and the Central and Eastern European mentors and speakers. Kasper Goethals, Coen van de Ven, Olivia Kortas and Adriaan de Loore (The Caravan’s Journal team of journalists) will give workshops on a wide variety of topics. Budapest is a city with its rich history on full display, from castles and churches, thermal baths to the magnificent parliament building. One of the most beautiful cities of Europe, it is also home to one of the most controversial European governments. After centuries of imperial and communist rule, Hungary became a democracy in 1991. For the last couple of years, Prime Minister Victor Orban has been steering Hungary in a populist direction. A border fence with Serbia was erected to keep out migrants and to supposedly safeguard Christian Europe from invaders. NGO’s and higher education facilities have reported to be under threat and civil society groups warn of restrictions on journalism. 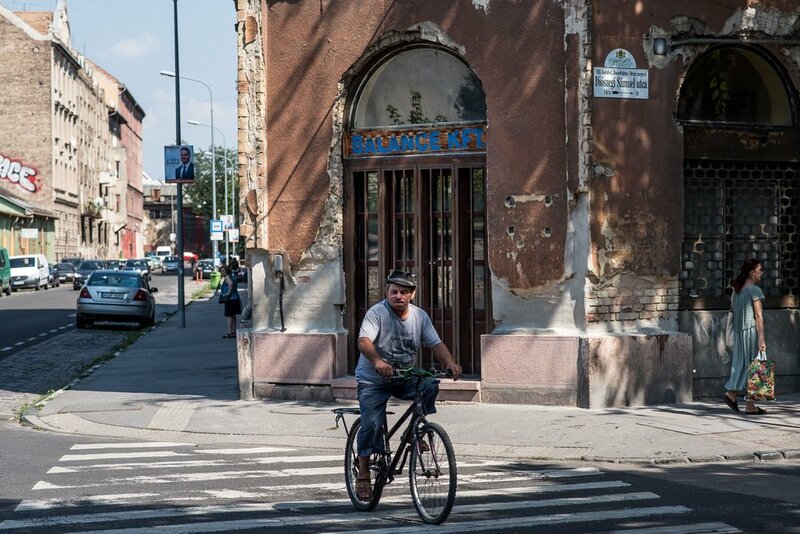 More and more, a climate is rising in which it is becoming more and more difficult for journalists to report from Eastern Europe. Since 2010, Hungary has dropped significantly in press freedom rankings. All of these recent developments make Budapest the ideal context for investigation and debate on press freedom and human rights. Learn about cross border storytelling and how to tell your story. Discover the challenges Hungarian civil society is facing, and how the crisis in democracy came to be. Come explore Budapest with us. Applications will be open until the 4th of March, 2019.